Jung developed a foundational approach to the study of the human mind. 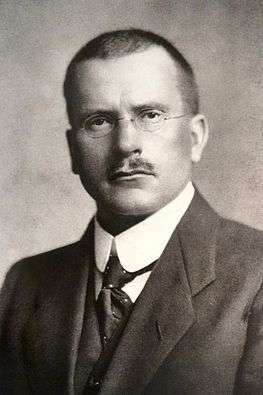 Jung began his career as a psychiatrist in Zurich, Switzerland. There, he conducted research for the Word Association Experiment at the world-renowned Burghölzli Clinic. Jung's research earned him a worldwide reputation and numerous honours, including an honorary degree from Clark University, Massachusetts, in 1904; another honorary degree from Harvard University in 1936; recognition from the University of Oxford and the University of Calcutta; and appointment as a Fellow of the Royal Society of Medicine, England. According to Jung, self-realization is attained through individuation. His is an adult psychology, divided into two distinct tiers. In the first half of our lives, we separate from humanity. We attempt to create our own identities (I, myself). This is why there is such a need for young men to be destructive, and can be expressed as animosity from teens directed at their parents. Jung also said we have a sort of "second puberty" that occurs between ages 35 and 40: outlook shifts from emphasis on materialism, sexuality, and having children to concerns about community and spirituality. ↑ Jung, C.G. (1958–1967). Psyche and Symbol. (R. F. C. Hull, Trans.). Princeton, New Jersey: Princeton University Press (published 1991). ↑ Arena, Leonardo Vittorio (2013). The Shadows of the Masters. ebook. ↑ Jung, C.G., "Psychological Types" (The Collected Works of C.G. Jung, Vol.6).